Wonderfully crafted and flawlessly designed, this wooden box is best option to beautify your table top as well as storing dry fruits n all. 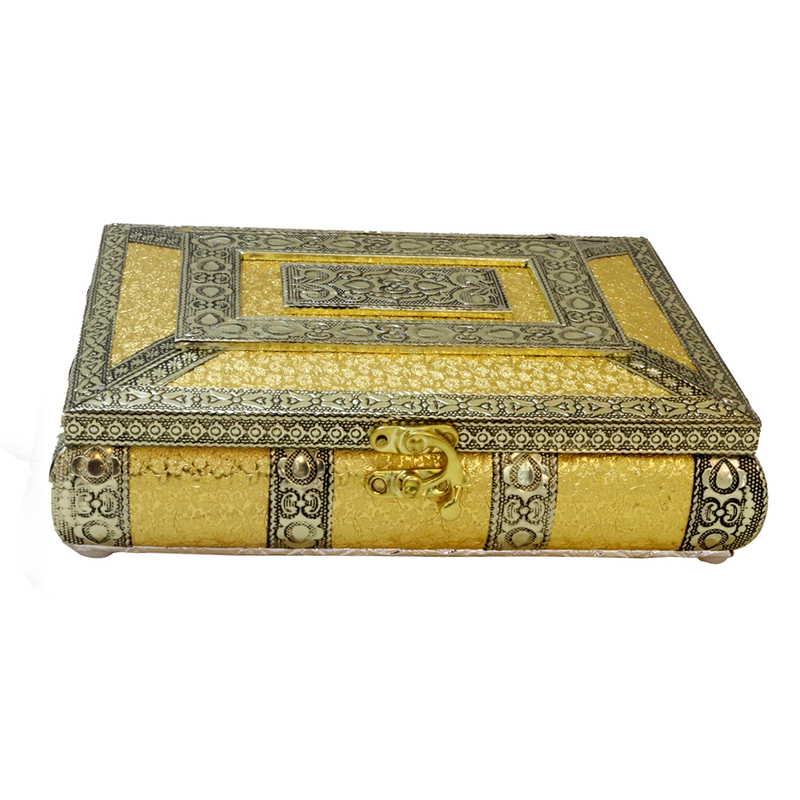 Specially designed & beautified with brass borders & resin, this wooden box will make any tabletop look fabulous. Each 'n' every corner of the box Read More..is engraved with brass border & crafted manually by hand. This yellow colored wooden box will fit suitable to store dryfruits in a plushy way! Show Less..